Sister Act is a divine new musical comedy currently raising the roof at the London Palladium (UK). 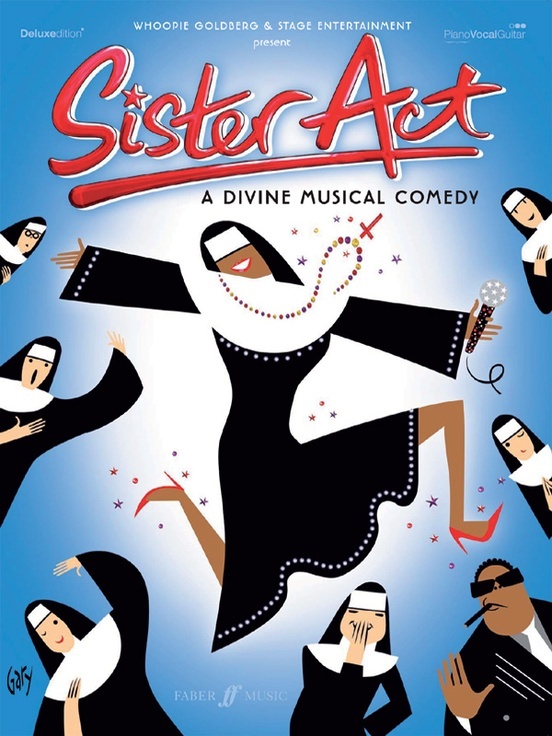 Based on the smash-hit movie, Sister Act features a brand new score by 8 time Oscar winner Alan Menken who also wrote Little Shop of Horrors, Beauty and the Beast, The Little Mermaid and most recently the hit movie Enchanted. This book features the hits from the show arranged for voice and piano with guitar chords, along with four pages of full color photographs. Titles: Prologue * Take Me to Heaven * Fabulous Baby * Here Within These Walls * How I Got the Calling * When I Find My Baby * Do the Sacred Mass * I Could Be That Guy * Raise Your Voice * Take Me to Heaven (Reprise) * Sunday Morning Fever * Lady in the Long Black Dress * Bless Our Show * Here Within These Walls (Reprise) * The Life I Never Led * Fabulous Baby (Reprise) * Sister Act * The Life I Never Led (Reprise) * Sister Act (Reprise) * Spread the Love Around.